Have you tried listing your home here in Idaho Falls? Are you still, currently in your home? Or have you moved on, and you are having a hard time getting your home sold? 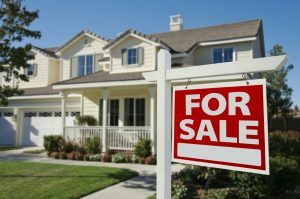 Here at the Group Real Estate, we bring you one of the best ways to sell your home is if it’s a vacant home. This way you aren’t worried about negotiating with a move out and move in time frames. There are, however, multiple challenges with staging and selling your vacant home. For some reason, as we look at vacant homes, as opposed to those that are furnished or have been staged, the idea, look, feel, emotion and there of showcase is missing. We are almost afraid of the vacant home, opposed to the one that has been furnished, or staged. As pictures and videos of vacant homes are put up online, prospective buyers will look through the pictures and videos, but sometimes can’t get a full sense of what they see the home looking like, as there aren’t any furnishings in the home. So layout, sense of sizes of the rooms, and actual layouts are lost to the eye of the beholder. Some perspective buyers, who are just looking through random houses and looking online to find the house for them, they may question, right away, why the house is vacant. They may think why the house has been on the market for so long or wonder why the owners moved away, left it vacant, and haven’t been able to sell it. Other things that go through their minds such as if there are problems with the home or is the home just too overpriced. 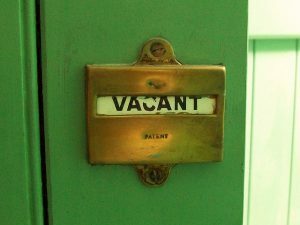 Many vacant homes will get overlooked and passed by, by potential buyers. Buyers who enter vacant homes have a tough time envisioning their furnishings there, without seeing actual furnishings. There can also be an assumption, that sometimes, due to the house being vacant, the seller is desperate. One way to help with this, that isn’t used often, but can be very effective, is you are able to do virtual www. If you have someone talented enough or can manipulate the photos, it may help you out to put furnishings into your photos virtually. There is a company called Virtual Staging Properties, where you, or your agent, will submit high resolution photos of three rooms and they will virtually stage them for you. One catch with this: you must disclose that you have done advertising using virtual www. Another great option is to do a furniture rental. There are rental packages from many different companies that will help you with renting furniture for the main, three rooms. The living room, the dining room and the master bedroom. The three main places that most potential buyers will look. If you are good with buying things at a discounted rate, you can make also do this with furniture. Going to a consignment store and looking at brand to brand furniture that may look good in your rooms, is a great way to furnish the home. It becomes something you can eventually take with you, take back to consignment, or even sell off. Make sure that you act sooner or later, as well. Many vacant listings are taken off market too soon, or the prices are dropped too soon, because the seller doesn’t believe that their listing is doing well. If you are to go ahead and make sure that you furnish the rooms that need furnishing. If you do this right at the beginning of the listing, when going into a listing that is vacant, you will find better success and you won’t have to drop prices.